Terminal Garage - Daily/Level 2-6 5701 S. Cicero Ave. Adjacent to the Terminal Daily Lot Northwest Corner of 55th St and Kilpatrick Ave / 1 Block East of Cicero Economy Garage and Lot​ 5050 W. 55th St / 1/4 mile west of Cicero Ave. To check real-time parking status, please refer to the parking module to the left, below the navigation bar. Helpful Parking Information Please email comments or questions to [email protected]​. For an immediate response, call the Parking Garage Office at (773) 838-0756.​​ Disabled Accessible Parking is available in all parking areas. For details, call the Parking Garage Office. If parking in excess of 30 days, please call the Parking Garage Office to make arrangements in advance. Vehicles parked over 30 days, without prior arrangements, will be considered abandoned and may be towed at owner's expense. For any vehicle assistance including a dead battery or flat tires, contact the Parking Garage Office. Chicago's vehicle immobilization program, or the “boot” program, is enforced within Midway parking lots. If your car is "booted", please call the Parking Garage Office. 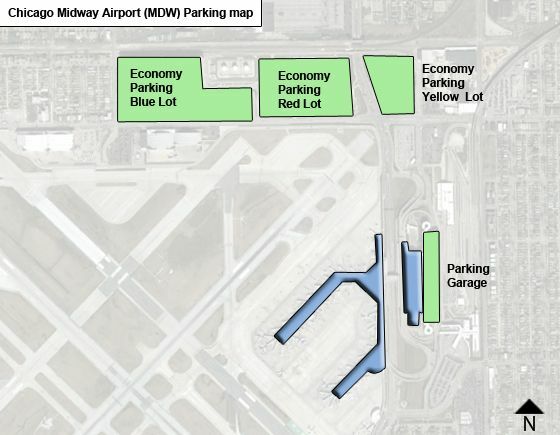 For parking lot space availability, please refer to the parking module on the left, or tune to 1630 AM within 2.5 miles of Midway. All vehicles parked in non-designated parking spaces will be towed at the owner's risk and expense. I assume it will be open?